Launched the previous January alongside the Yamaha Tracer 900 GT, the 2019 Yamaha YZF-R25 now has official pricing from Hong Leong Yamaha Motor (HLYM) – RM19,888. Expected to be in authorised Yamaha dealer showrooms next week, the YZF-R25 is priced sans road tax, insurance or registration and comes in red or blue, along with a 10,000 km or one year warranty, whichever comes first. The post 2019 Yamaha YZF-R25 price announced – RM19,888 appeared first on Paul Tan's Automotive News. 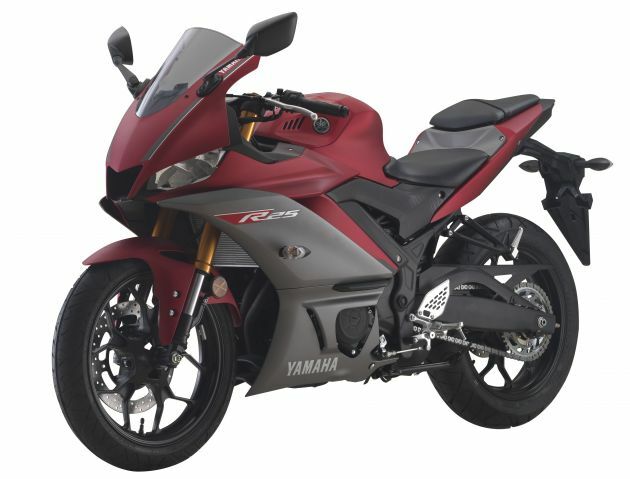 0 Response to "2019 Yamaha YZF-R25 price announced – RM19,888"